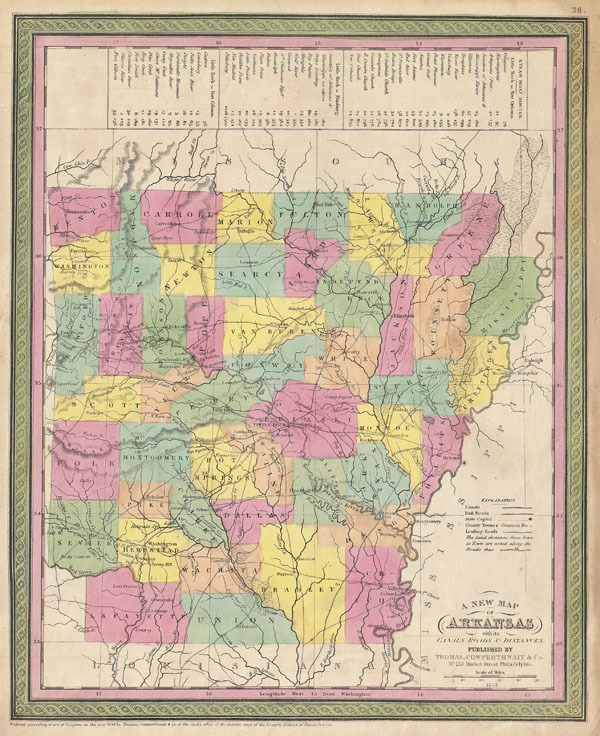 A New Map of Arkansas with its Canals, Roads & Distances. Rumsey 0537.026 (1847 edition). Phillips (Atlases) 6913-25.